The holiday season is upon us and I find myself reflecting on what graphic novels I should pick up as gifts. 2017 had some amazing titles for all types of readers and there is likely an amazing comic for everyone on your list. 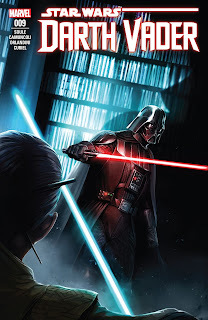 Darth Vader #9 - I could not have guessed that the Jedi librarian would be such an entertaining and formidable foe to the Grand Inquisitor and Darth Vader himself. 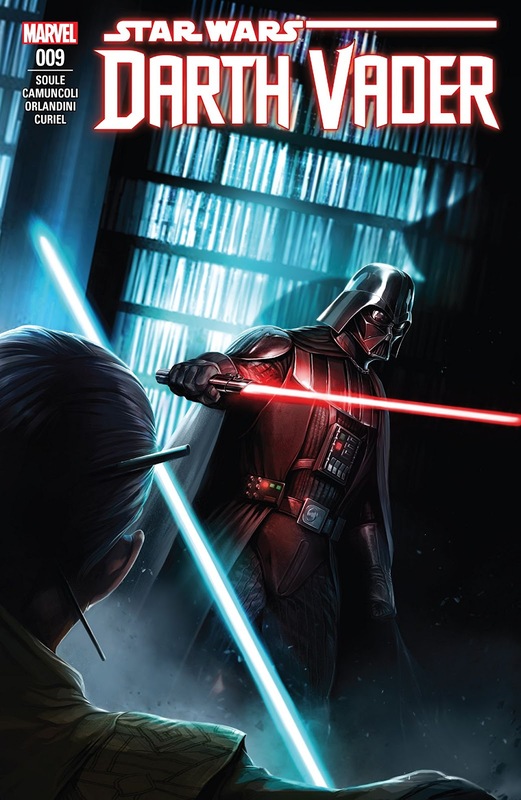 Watching her outwit Vader as he attempts to gather valuable information from the archive is an absolute delight. I fear that she may meet her end in the next issue, but thus far she has been able to impress beyond my wildest expectations. This has been an extremely entertaining arc that is a must read. 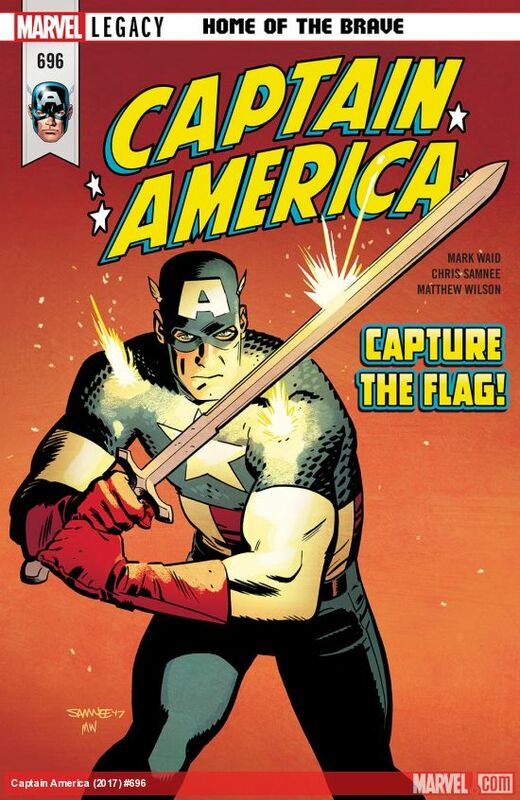 Captain America #696 - Steve Rogers is trying to rebuild his image and figure out how he fits in following the events of Secret Empire. In this issue he finds himself in a small town north of Atlanta is search of some solitude. Not surprisingly, he is very recognizable and comes to terms that it is going to be tough to lay low. Capped with a heartfelt letter from Joe Caramagna, this stand alone issue serves as a good reboot as we embark on another new era with Rogers wielding the shield. 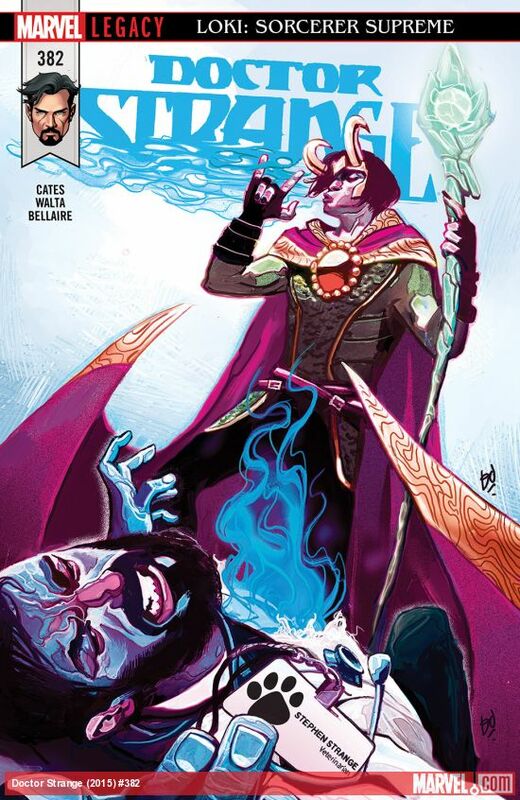 Doctor Strange #382 - Donny Cates' run continues to entertain as Sorcerer Supreme Loki attempts to unlock a door that he believes contains a spell of immense power. Stephen Strange, moonlighting as a veterinarian, makes a desperate move to attempt to stop Loki after he began to get close to Zelma. I won't spoil anything, but Cates' has created some social media buzz after the return of a controversial hero. While I am not very well versed in all things Doctor Strange, the first two books from Cates have been a lot of fun. Paper Girls #18 - All hell is about to break lose and I am terrified. The girls are reunited again, but stuck in the year 2000 with no clear plan on how to return home. Due to circumstances, the Battle of the Ages is about to really heat up. There is other drama associated with KJ and wondering if she has been replaced or not and the cops appear to be in some sort of trance, but my concern is how the war is going to escalate and impact everyone else. This title is about to get messy.